Living donor transplantation is a key part of restoring health in patients with severe kidney or liver disease or end-stage organ failure. Nurses, clinicians, clergy and social workers play a pivotal role in communicating the living donor option to patients, families, friends and other potential living donors. They typically face a myriad of questions regarding cost, psychosocial issues, ethical issues, long-term donor health, paired donation, transplant outcomes, and the role of the media. 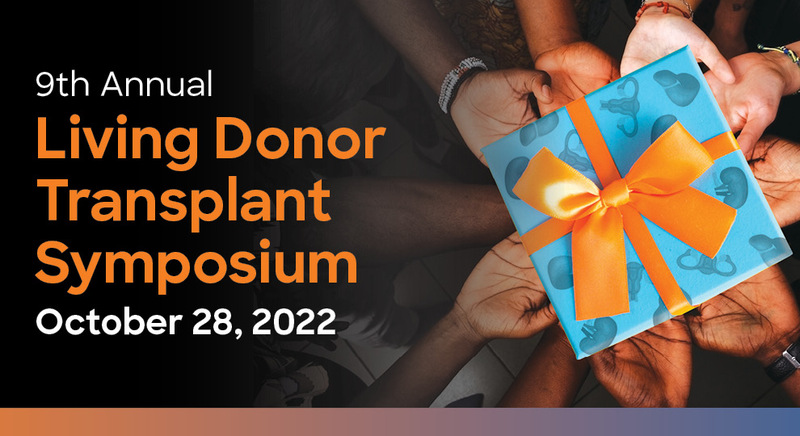 Update, educate and inform registered nurses, transplant nurse coordinators, social workers, donor advocates, clergy and other professionals who work with transplant candidates. Enhance and improve clinical behavior to increase participation in the living donor process. Speakers and panelists will present real life cases and initiate conversations with the audience about the issues. NURSES: FACET Provider approved by the California Board of Registered Nursing for 6.0 Contact Hours. SOCIAL WORKERS: This activity has been submitted to the National Association of Social Workers for continuing education credit. TRANSPLANT: Category I Continuing Education Points for Transplant Certification (CEPTCs) has been applied for through the American Board for Transplant Certification (ABTC). A block of rooms is available at the Magnolia Dallas Park Cities Hotel located at 6070 N Central Expressway, Dallas, TX 75206. To book accommodations with the $149 rate online, please use this link to the Magnolia Dallas Park Cities booking website. To book accommodations by phone, please call 214-750-6060 and mention the Donor Advocate Program for the $149 Group Rate. Housing reservations must be made by October 19, 2018; thereafter, hotel accommodations and preferred group rates will be subject to availability. All reservations must be guaranteed with a major credit card. Room cancellations must be made in accordance with the hotel cancellation policy of 72 hours prior to the date of scheduled arrival, or your credit card will be charged for a one-night stay and applicable taxes and fees.